Art Talk: Fall is here!! Um WOW! Fall is here!! Um WOW! Hi friends! It's been so long since I blogged... I almost forgot how to log in to my own blog! So sorry about that long absence. Life has gotten crazy and it just wasn't a priority! I want to try to make it a priority with more posts. 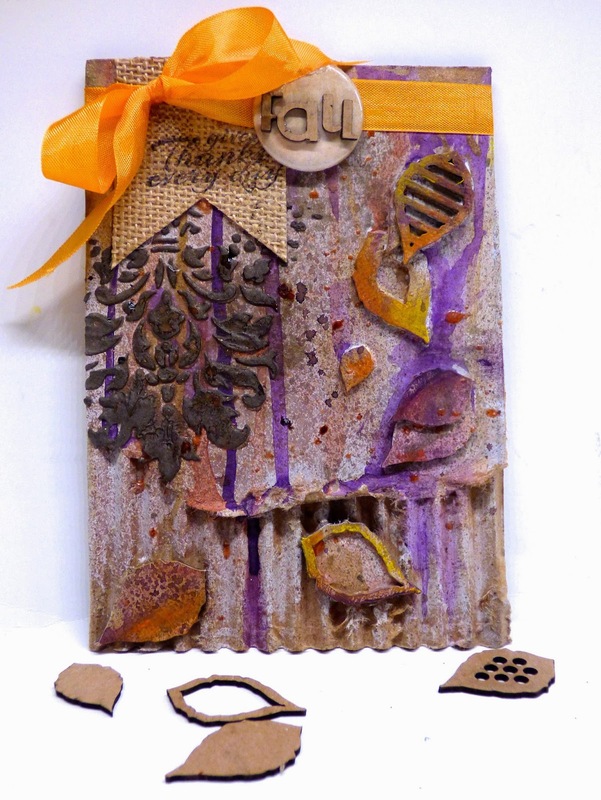 Here is one for UmWowStudio with a project I created using their layered chipboard pieces. I adore these so much and really need more! Being on the DT, I plan on using more of these adorable sets! The Layered Leaves Chip is so perfect for all Fall projects! I love the shape and the sizes you get in this pack. Did I mention how much I love the thickness, durability and smell of these? Yep, you heard me right... smell. Like a cozy fire on a cold day... Sigh. LOVE it! I love the natural color of all the chipboard but for this project, I needed to cover it with color and primed the whole thing with Faber-Castell Design Memory Craft Gesso first. Then, I added lots of Faber-Castell Design Memory Craft Gelatos® in the Steampunk Set. I also added some Banana and Mango too. But mostly I made Gelatos® sprays and dripped pure color down the board. Love how these adorable leaves stack and create a fun dimensional embellishment to my projects! I added an UmWowStudio flair from the Vintage Flag set and glued "Fall" from the Alpha TWO set to the flair. I colored some Faber-Castell Design Memory Craft Whipped Spackle with an Iced Coffee Gelato and applied it through the UmWowStudio Damask Mask. The Iced Coffee Gelato has a bit of shimmer to it by itself but I also sprayed some Iced Chai on there too for more sparkle! Adding more color to the leaves gave it a bit more drama! 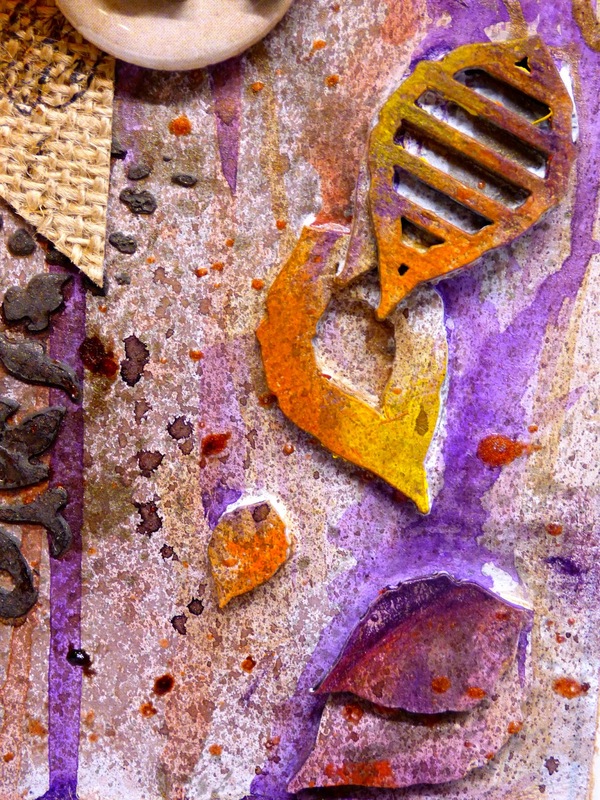 With the Gesso, the colors stand out far better than just on the kraft colored paper. Want to see more projects with these layered chip? Just go to the UmWowStudio blog and check it out! Such lovely leaves and texture, just gorgeous! that is very pretty!! love it, I need to play with some of these, they look so fun!